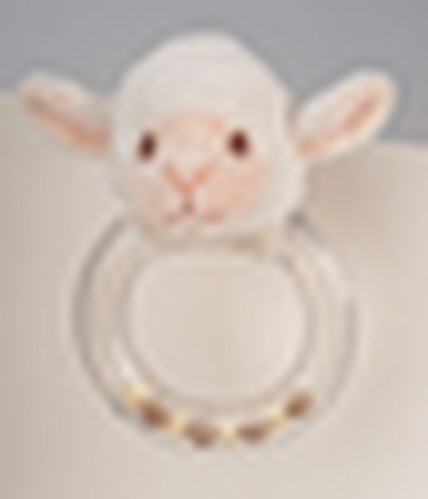 The DOUGLAS® Lamb Ring Rattle is made of a clear plastic ring with tan and white beads inside. It is topped by a ivory and peach plush animal head. The face details are all embroidered. It measures 5" tall and 3" wide. Great for Baby to chew on!